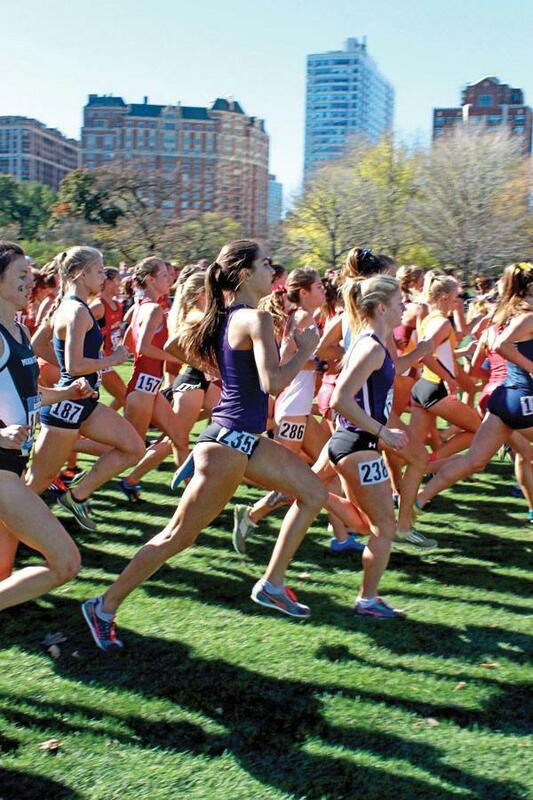 A group of Northwestern runners run in a pack. The Wildcats will be led by two freshmen, Aubrey Roberts and Sarah Nicholson, as they travel to the Griak Invitational on Saturday. Northwestern is looking to set a higher standard this Saturday. The Wildcats will head to Minneapolis to compete against 36 other Division I teams at the Griak Invitational. Eight Wildcats will run on a 6K course through the Les Bolstad Golf Course, the site of this year’s Big Ten Championships. When NU competed in the Griak last year, it placed in the top 25. But this year, with some new faces, the Cats are aiming for the top 15, coach ‘A Havahla Haynes said. Haynes said freshmen Aubrey Roberts and Sarah Nicholson will likely be NU’s head runners on Saturday. Roberts and Nicholson finished 1-2 at the team’s opening meet this season, the Illini Challenge. Junior Brooke Pigneri, one of the upperclassmen entered in this weekend’s meet, said the older runners on the team are trying to help ease the nerves of NU’s promising freshmen. Michigan State, Michigan and host Minnesota on Saturday. While the Cats aren’t at that level, Pigneri said that the race will still be a valuable experience that will help prepare the team for Big Tens on Oct. 30. “My goals for this race is to get accustomed to the course and be able to mentally get through it, so when I get there for (Big Tens), I can really excel through it,” Pigneri said. Haynes said NU’s performance in the first mile will go a long way to determining how the team will finish the race, and she feels that a big improvement from last season is within reach.